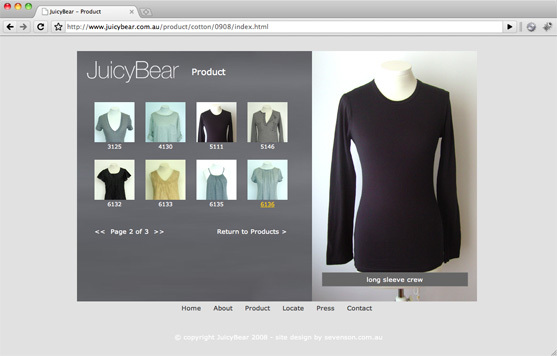 This simple yet stylish website was created as part of the JuicyBear Tees re-branding. It was rebuilt entirely around the new graphic style that the company was taking. The bright pinks and flash based animations of the previous sites has been abandoned in favour of a more traditional HTML approach, using more earthy greys and browns of the company’s new style.